Doing fun nail art designs is not always as difficult as it may look. 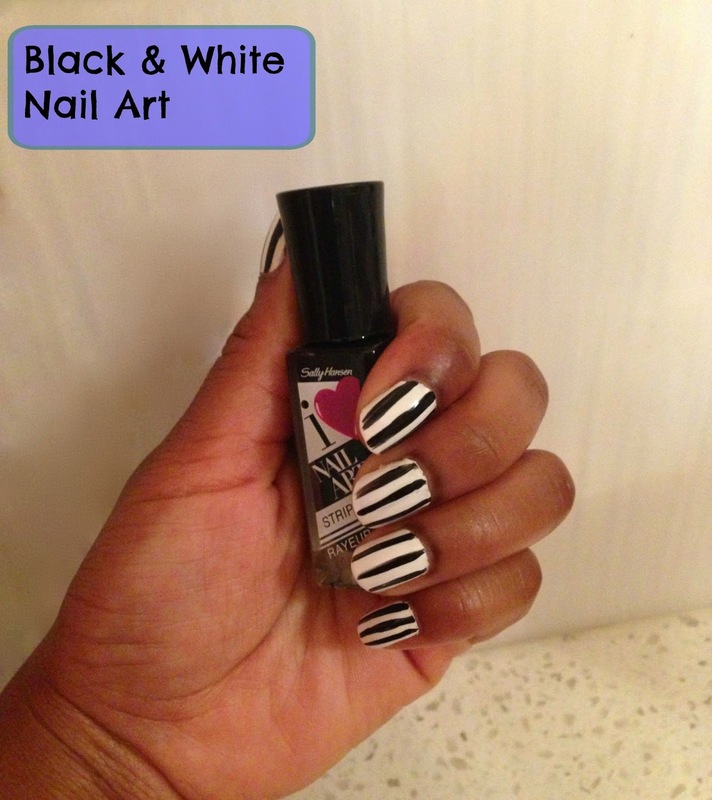 In today's post I will show you how to create a black and white stripe pattern on your nails. Below are step-by-step instructions of how to recreate the desired effect on your nails. Step 1: To create this design you will need white nail polish and a black nail polish striper. Although you can use any white nail polish brand you have available, I used a white nail polish by OPI called Alpine Snow and a black nail art striper by Sally Hansen. Step 2: Begin by painting your nails a solid colour of white. This will be the background for your white stripe. As white nail polish sometimes appears chalky on nails, you may have to do two coats to create the desired look. Keep in mind that you don't have to paint all of your nails white, but the nails ones you want to have the design on. In my case I choose to paint all of my nails in white nail polish to create the stripe look. 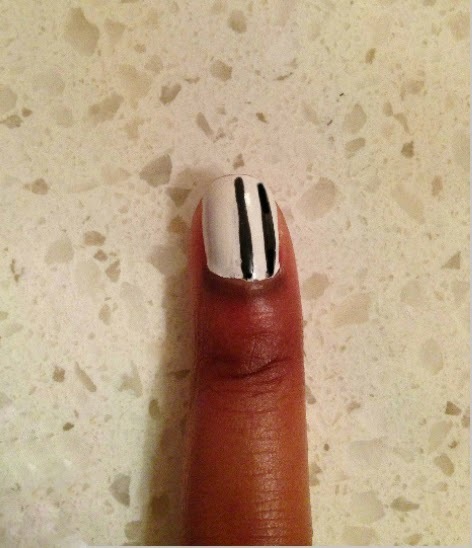 Step 3: Once the white nail polish has dried, take the black nail art striper and apply a straight line down the center of your nail. Once the first line is done you can begin to paint the other lines that will be placed on either side of the centre line as shown below. 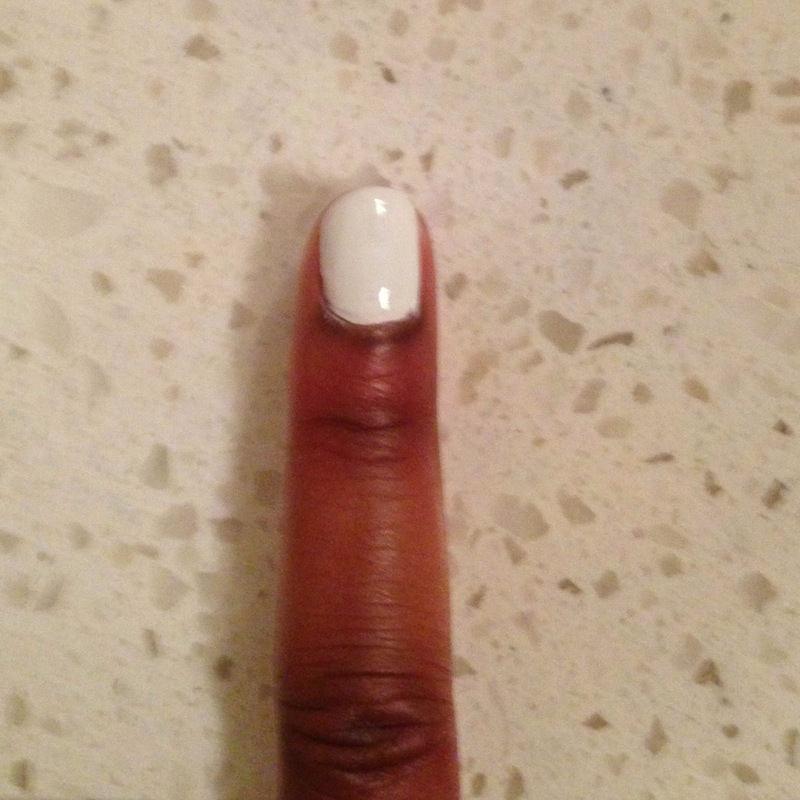 Follow this patten for all of the nails you have painted in white nail polish. *Don't worry if it is not entirely straight as the effect will still show properly when all stripes have been applied. 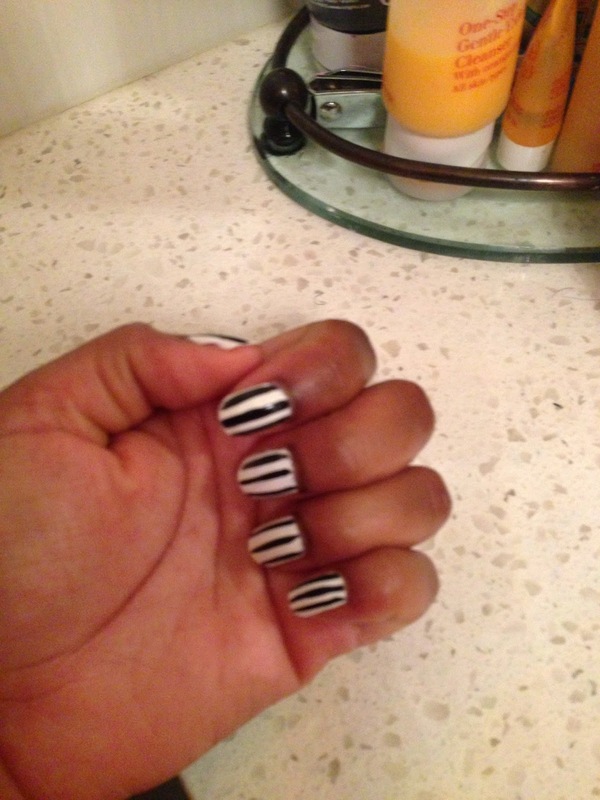 Step 4: When your nails are done, you should see a black and white stripe design similar to the image shown below. After your nails have dried, add a top coat to give your nails some added shine and help the polish last longer. You don't want your nails to chip after you took time to create this fun nail art design. Overall, I this post has shown you how easy it is to create fun nail art designs that you can do yourself! If you want to learn how to do other designs or enjoyed this post feel free to leave a comment below. Don't forget to subscribe or Follow my blog with Bloglovin!